During the REFLECT project assessment of the quality of reflection was a very sensitive topic. Colleagues from non-formal education field informed us that they don’t need to do assessment of reflection and colleagues from formal education field need to do so. 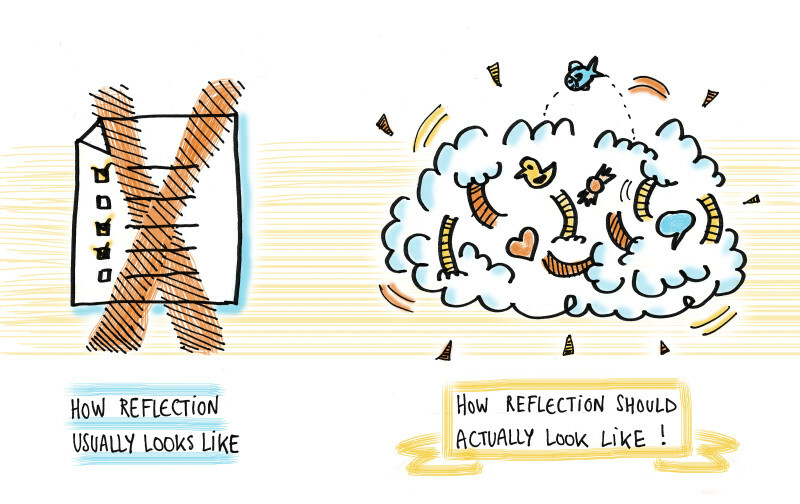 These two opposite positions made us think of assessment of reflection more carefully. So we have agreed that we don’t want (and not recommend) the reflection to be used for marking, grading or comparing of the learners. You would ask us than, why do we need to assess it? Well we need to assess it in order to enhance the quality of reflection and by doing this we aim to enhance the learning. We believe that careful and proper assessment that is done on time could encourage the learner to enhance quality of her reflections, helping to find new meaning, motivation and ways to reflect. We recommend for educators to use formative assessment (as an opposite to summative assessment). Formative assessment refers to all those activities undertaken by educators and by their learners in assessing themselves, which provide feedback to shape and develop reflection in which both educators and learners are engaged. This online activity aims to examine practices of assessment of reflection. What was the purpose of the assessment? What aspects of reflection and/or indicators of the quality have been used during the assessment? What challenges did you face as educator (or learner)? What challenges, did you think, were faced by your learners (or educators)? Has it helped to enhance the learning? What was your role in the process? Educator or learner? Which educational context your shared experience is coming from? Formal or non-formal? Please use the ‘comment’ space to share your answers, thoughts and remarks. To participate in this learning event, we ask you To be willing to reflect on your positive and negative experiences in assessment of reflections and to share them with us.